The response of the Malaysian government authorities to the civil suits filed by the US Department of Justice to seize more than US$ 1 billion (RM 4.02 billion) in assets allegedly linked to 1MDB has been a huge disappointment. Faced with suits that allege massive embezzlement of funds and one of the worst money laundering scams in history, Cabinet Ministers and the Attorney-General are determined to absolve “ Malaysian Official 1” of any wrongdoing. They are obsessed with preserving, protecting and perpetuating the Prime Minister’s position whatever the costs and consequences. It is not just the US Attorney-General that has gone public on this shameful attempt to launder perhaps US 3.5 billion (RM 14.07 billion) from a state investment company established ostensibly for the people’s benefit. Singapore authorities have also seized assets worth S$ 240 million (RM 717.45 million) in an investigation of 1MDB related fund flows for possible money-laundering. Switzerland is another international financial hub that has begun to take action. 1MDB’s activities between 2009 and 2013 have now been exposed as utterly fraudulent on a global scale. The government should face up to this reality. As has been proposed by a number of groups and individuals in the last few days, it should set up an independent tribunal comprising men and women of integrity and credibility which will once and for all establish the whole truth about 1MDB and its activities and recommend appropriate action against the wrongdoers. Apart from individuals with legal expertise, the tribunal should also have members with in-depth knowledge of the intricacies of money-laundering and money flows in today’s world. It should consist of both Malaysians and non-Malaysians. Cooperation with relevant agencies in the US, Switzerland, Singapore and other countries would be crucial. The tribunal should also have unhindered access to all those linked directly or indirectly to 1MDB and its affiliates. All the information gathered and analysis undertaken by the Auditor-General, Parliament’s Public Accounts Committee, Malaysian Anti-Corruption Commission (MACC), the Central Bank, the Attorney-General’s Chambers and the Police in the last few years should be made available to the tribunal. Prime Minister Najib should not have anything to do with the appointment of the proposed tribunal. Since 1MDB is wholly owned by the Ministry of Finance and he is the Minister of Finance and was also the Chairman of 1MDB’s Board of Advisers, he should keep his distance from the tribunal. Isn’t it also true that right from the outset he was involved in the creation of the company and was, to all intents and purposes, its principal decision-maker? Besides, in the US Department of Justice’s civil suits he is alluded to as ‘Malaysian Official 1’ 36 times. To give moral ballast to the formation of the tribunal and its work, Najib should in fact relinquish his position as Prime Minister and Minister of Finance until the tribunal presents its findings to the nation. If the tribunal exonerates him, he can always return to his job. I had suggested on 10 July 2015 that to facilitate investigations into 1MDB he should step aside temporarily. The situation has now become a lot worse. What if the government does not want to initiate a tribunal and Najib is determined to cling on to power? The people could through their members of Parliament try to persuade the Speaker to hold an emergency session of Parliament. 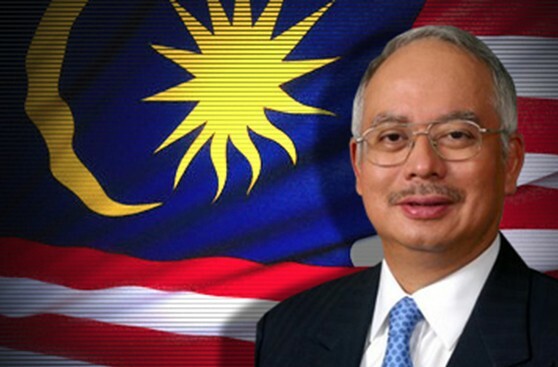 Both the proposal on a tribunal and the position of Najib could be resolved through a parliamentary vote. But for the vote to reflect the feelings of the people, the whip should be lifted and members on both sides of the House should be encouraged to vote according to their conscience. If Parliament fails to act, one hopes the Conference of Rulers which had already expressed its profound concern over 1MDB in October 2015, will assume its moral responsibility to the nation and advice the Cabinet to do what is right on both the tribunal and the Prime Minister. The Rulers’ advice will carry much weight. The Rulers one hopes will also impress upon everyone that resolving the 1MDB debacle is the nation’s top priority at this point in time. It is a moral issue of tremendous significance and should not be marginalised through inter-party, inter-personal politics and the desire to retain or to attain power. The 1MDB issue is not about ousting or hoisting anyone. Similarly, legitimate concerns about Daesh terrorism and security should not be manipulated to divert attention from 1MDB. The people should not allow “a security situation” to be created which is then used to suppress the truth about 1MDB. There are many instances in history when the elite’s fear of being exposed for corruption or abuse of power has led to the victimisation of justice and the curtailment of freedom. In this regard, those who are dedicated to espousing integrity through demonstrations and the like must always be cognisant of the danger of their protest being hijacked by others with their own mischievous agenda. Instead of demonstrating, it is much more important at this stage for more and more groups to speak up. If the voices of concern reach a crescendo, the powers-that-be will not be able to ignore their plea for truth and justice. The alternative media today offer unfettered channels of communication which have not been utilised to the fullest. A sector of society that has yet to add its moral strength (there have been some isolated voices here and there) to the struggle for accountability and transparency on 1MDB are established religious personalities from the different faiths. They don’t have to be told that at its root 1MDB is about values that lie at the core of religion, values such as honesty, truthfulness and trustworthiness. This is why Muslim, Buddhist, Confucianist, Hindu and Christian theologians should take a stand now for what is at stake is the moral character of the nation itself and its future. Is it so difficult to uphold what is right and denounce what is wrong?